I was delighted to be asked to speak about the importance of investing in early childhood years today with Ministers James Reilly and Damien English and Cllr Josepha Madigan. This is an issue of huge importance to me personally as a working Mum , to Bernard as a working Dad and to working parents across the country. 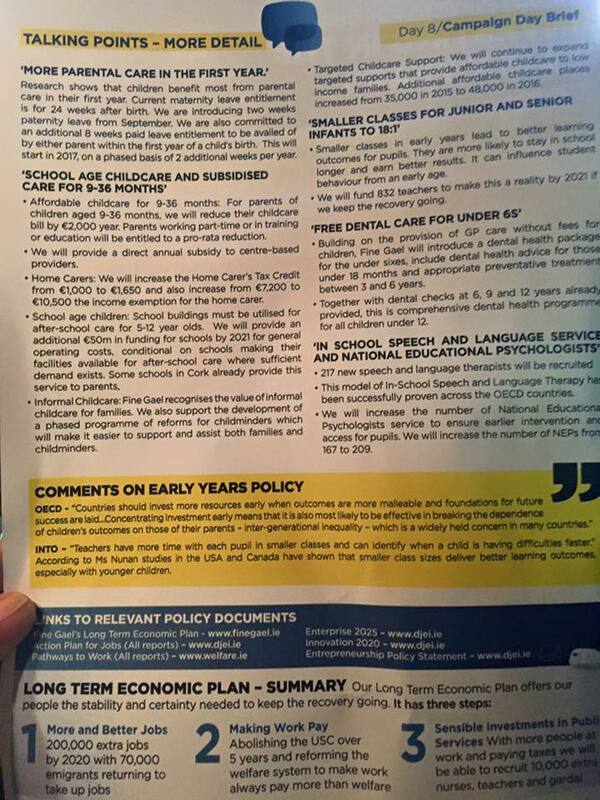 Since elected I have listened to and facilitated public meetings with both parents and childcare providers. 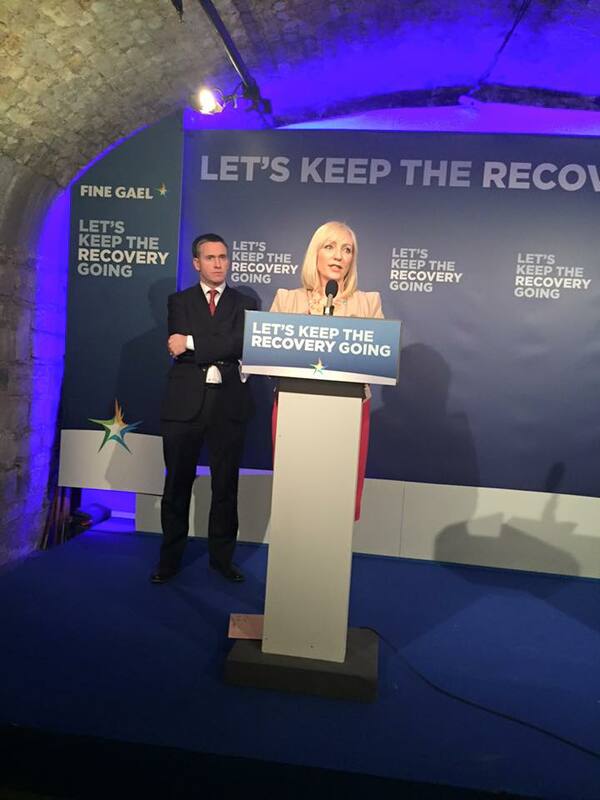 “Since going into Government in 2011, Fine Gael has prioritised children and their welfare. We established a new Child and Family Agency, and introduced child protection legislation, free GP care for under 6s and a second free pre-school year. “Now, we want to build on this progress. 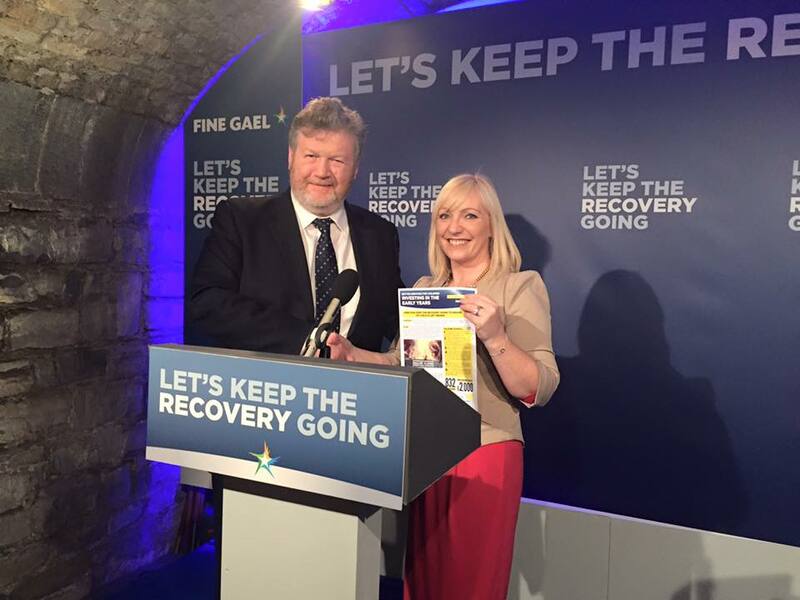 As we keep the recovery going Fine Gael will target investment in the early years, those crucial first five years in a child’s life. 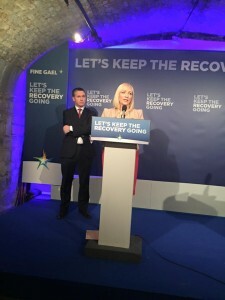 Additional parental leave, affordable childcare and smaller classrooms underpin Fine Gael’s long-term economic plan, along with targeted investment. “We want to give parents more quality time with their children, so we are going to provide an additional eight weeks parental leave, to be taken by either parent in the first year of the child’s life. 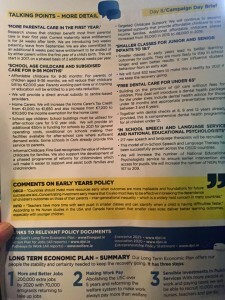 We also want to make childcare more affordable for working families. 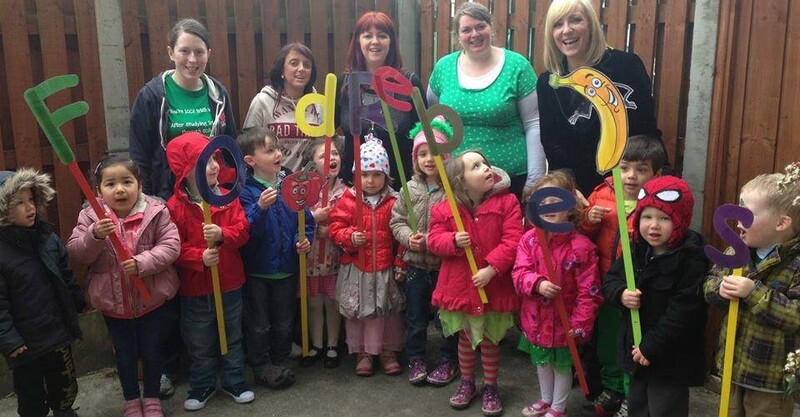 We’ll do this by providing a €2,000 annual subsidy for children aged 9 months to 36 months who are attending childcare facilities. We are also committed to free dental care for under 6s and new in-school speech and language services in primary schools to support young children early. 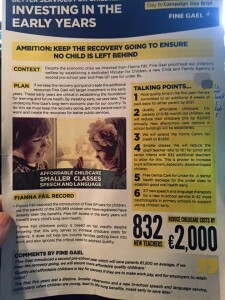 “Fianna Fáil has no policy to secure the future of our children. 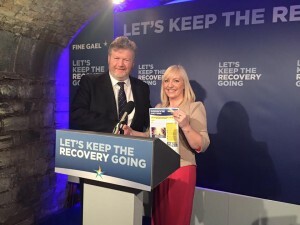 They fought the introduction of Free GP care for children, yet 225,969 children have been registered by their parents to avail of this service. 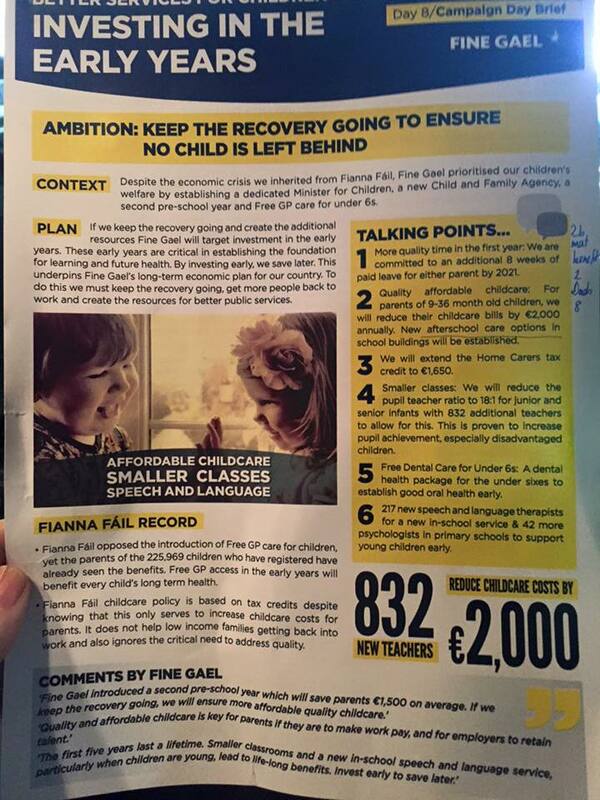 “Fianna Fáil’s childcare policy is based on tax credits, despite knowing this will just drive up costs for parents. 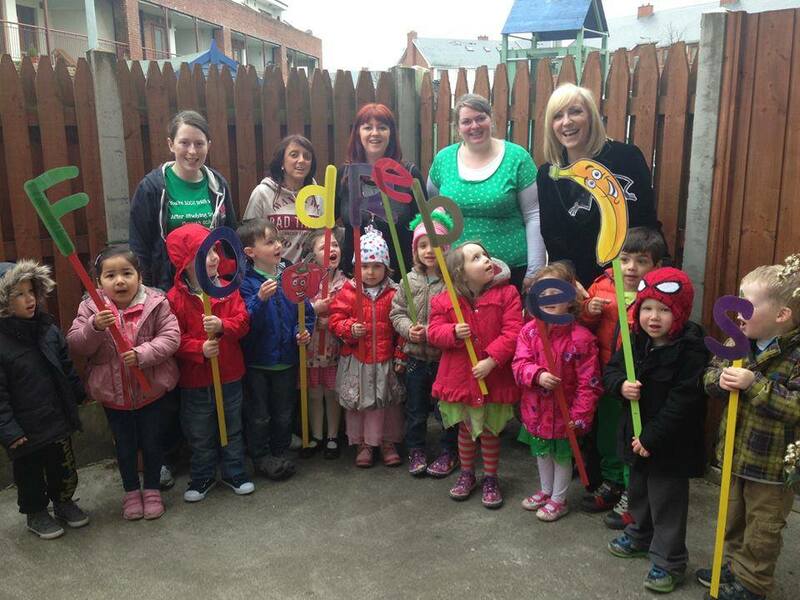 “By prioritising early investment in children, Ireland will gain talent in the long term. Giving our children the best possible start means they will become more independent, healthier and wealthier in later lives. This entry was posted in Achievements in Government, Food Rebels, GE16 Canvassing, Opinion Blog, Uncategorized. Bookmark the permalink.